Recently I was doing field work in southern Africa and marveling at the enormous termite mounds that dot the landscape. Composed of soil, saliva and poop, termite mounds are amongst the most spectacular of the structures built by animals. These fascinating structures maintain the ventilation of termite nests that are actually subterranean. 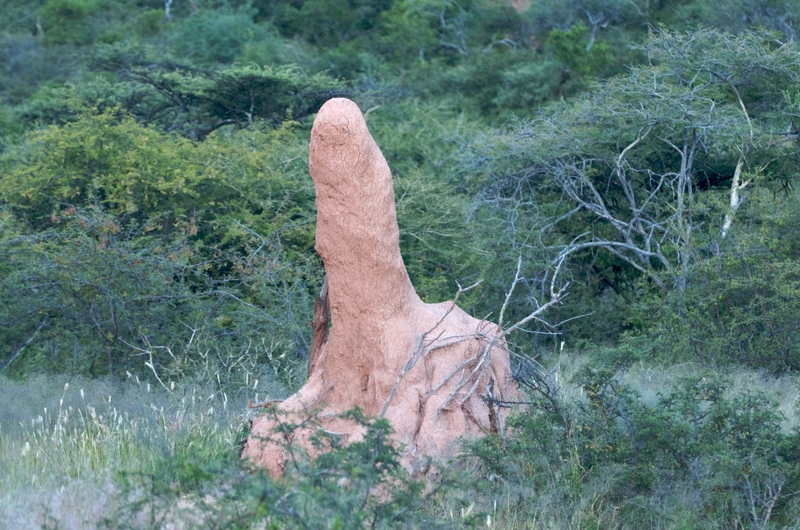 This PBS blog post has a nice diagram of the structure of a termite mound: http://www.pbs.org/wnet/nature/episodes/the-animal-house/the-incredible-termite-mound/7222/. Termites have been tending fungal gardens for about 30 million years. In northern Namibia, all of the termite mounds tilt to the north (or towards the equator). Do the building scientists have any explanations to offer for this interesting natural history phenomenon? A termite mound in Etosha National Park, Namibia. Photo by Holly Ganz. 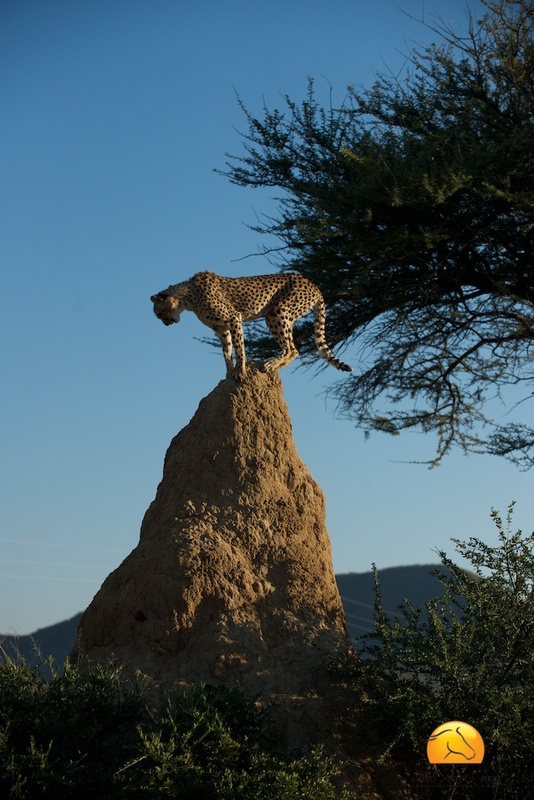 Cheetahs like to stand on termite mounds. Photo by Simon Palmer.